Trying to understand Kanye West is a full-time job for the star's fans in 2018. He's back in the public eye for the first time since he abruptly ended a tour and sought medical treatment in late 2016, but his new album Ye has been accompanied by statements that have surprised and offended many of his fans. What's he up to? If we don't know after reading a long New York Times feature that was just published, we won't know any time soon. Writer Jon Caramanica spent two days with West after his recent Ye listening party in Wyoming, where West has been spending a lot of time living and working over the past year. The overall impression Caramanica reports is of West as a man who's "publishing his drafts": who's content with saying and doing what he feels, secure in the belief that his audience will stick around to see what he does next. It's an approach he shares with Donald Trump, which seems to explain West's affinity for the president despite not sharing all of his political views. The most widely reported aspect of the interview was West's clarification of his controversial remarks on slavery, in which he told TMZ that 400 years of African-American enslavement "sounds like a choice." That doesn't mean it was a choice, he now says. "I never said it's a choice. I never said slavery itself — like being shackled in chains — was a choice." People who watch the entire interview clip, he says, will "see how my mind works." 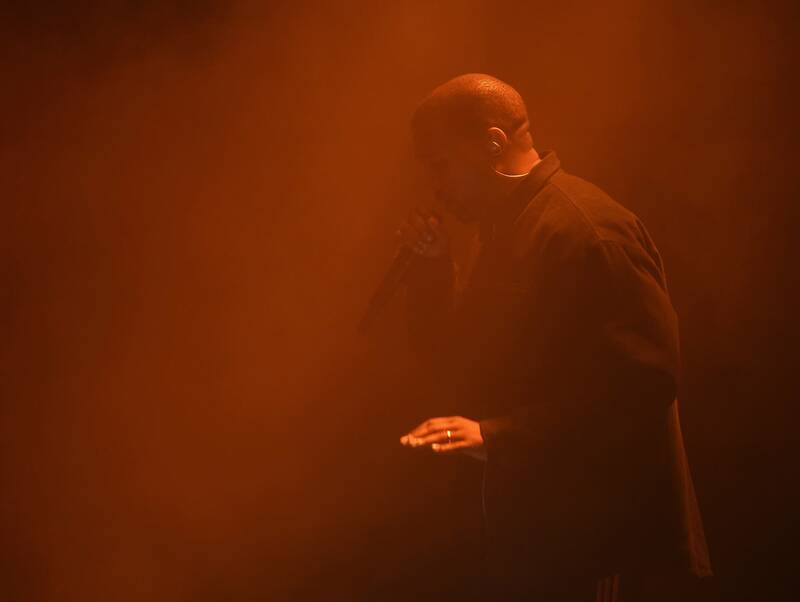 In other revelations, West confirms that the hook on the song "Yikes" was written by Drake, an awkward fact given Drake's recent beef with Kanye collaborator Pusha-T. "This is dead now," he tweeted about that beef. West also describes a scream-therapy intervention his wife Kim Kardashian staged for him with self-help guru Tony Robbins — and says that he had none of the Ye lyrics written up to eight days before that album's release. "And he still went to see Deadpool 2," writes Caramanica. "Twice." Some listeners have been circulating online claims that Childish Gambino’s current smash hit "This is America" was cribbed in large part from a 2016 track by rapper Jase Harley titled "American Pharaoh." Childish Gambino's manager Fam Udeorji, however, says the claim is baseless. "I hate that Toronto Akademiks/every white blogger can say something as gospel and y'all take it," Uderoji tweeted. "This song is 3 yrs old, and we have pro tools files to prove it." James Iha of Smashing Pumpkins is trying to quiet talk about a continuing public feud between his bandmate Billy Corgan and former bandmate D'arcy Wretzky. "Billy tried his best," says Iha in a Guitar World interview. "In the big picture, I think everybody is at different points in their lives, and whoever can work it out and get it together with the band can do it. It's just one of those things." Iha is about to launch a tour with Corgan and fellow founding Pumpkin Jimmy Chamberlin and new bassist Jack Bates. Wretzky, the group's founding bassist, wasn't included in the reunion tour and has been lashing out at Corgan in interviews and online. A "Concert for America" has been announced to benefit non-profit organizations working with families at the U.S.-Mexico border. Idina Menzel, Audra McDonald, and Chita Rivera will be among the musical performers at the concert this coming Saturday, June 30, at the Cooper Union in New York; Tina Fey will also appear. The timing is intended to coincide with a planned day of protests over the Trump administration's treatment of immigrant families arriving at that border. Are there farms in Connecticut? You bet there are: the state exports plenty of dairy products...and nursery-bred plants. The so-called Land of Steady Habits will play host to the next iteration of Farm Aid, the annual charity concert that kicked off in 1985. This year's lineup is typically heartland-heavy, with scheduled performers including Neil Young, John Mellencamp, Willie Nelson, Chris Stapleton, Sturgill Simpson, Margo Price, and Nathaniel Rateliff. The show will be held at the Xfinity Theatre in Hartford on Sept. 22. "The crisis farmers are in now is even worse than 1985, because there are fewer farms left to lose," said Mellencamp in a statement. "Family farmers are becoming an endangered species. They have a whole system stacked against them, and time is running out for Americans to demand a fairer playing field. Farm Aid 2018 has to be a rallying cry for all of us to stand up and fight for these families."